Divorce Lawyer Fayetteville, Arkansas | The Hudson Law Firm, P.L.L.C. 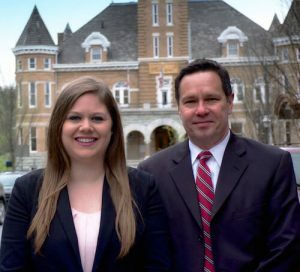 Divorce: When you work with The Hudson Law Firm, you can trust that our experienced Fayetteville divorce lawyers will be working hard to walk you through the divorce process and get you to the finish line with a fair result. When you are going through a divorce there are many legal issues that may have to be addressed, and our divorce attorneys will provide you with guidance and insight throughout the entire process. Child Custody: Divorce and other family law matters can be particularly difficult when children are involved. We pride ourselves on keeping the best interest of the children at heart when making these decisions. Our attorneys will fight for an arrangement that allows you to be an active part of your children’s lives as they grow older. Visitation: There are several types of visitation agreements, and choosing one is largely dependent on your schedule, the relationship you have with your child, and your current relationship with your spouse. We understand that your role in raising your children is extremely important to you, and we will work diligently to protect it. Child Support: Parents have a responsibility to support their child financially, even if their marriage or relationship has ended. Depending on the custody agreement, child support will be addressed and ordered by the Court based on income. Modifications: Modifications to a Court Order are often necessary. If custody or visitation arrangements are not working, the case may be re-opened. If one party is not following the terms of the Court Order, a contempt charge may need to be filed. If a party starts to earn substantially more or less money, child support may need to be modified. Ad Litem: Grace Casteel is a certified attorney ad litem in Arkansas. An attorney ad litem represents children during divorces, custody, or guardianship cases. The attorney ad litem will conduct thorough interviews with all parties, including the children, and review case documents in order to make recommendations and represent the child’s best interest in court. Paternity: Under Arkansas law, a mother has full custody of a child born to unmarried parents until a court says otherwise. A father can put his name on a child’s birth certificate, but this act alone does not entitle him to any visitation or custody, nor does it entitle the mother to any regular child support. If you are the father, or believe you may be the father, of a child born out of wedlock, you need to file a paternity action to address custody, visitation and child support issues. Mothers of children born out of wedlock can certainly file for paternity too in order to set up a custody and visitation agreement, and to address child support. The links on this page will take you to resources and our blog posts discussing divorce, child custody, visitation, child support, and paternity. 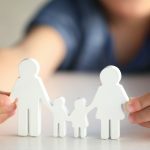 While these links provide good general knowledge, each family law case is unique, and we encourage you to contact us to discuss the specific details of your family law case. When Can a Child Decide what Parent He/She Wants to Live With? The Hudson Law Firm is prepared to help you explore your options in reference to any family law matter. Contact us today to schedule your initial consultation. Give us a call at (479) 443-1812, email us at info@hudsonlawfirmnwa.com, or send us a message below. We proudly serve clients throughout Fayetteville, Arkansas and other surrounding areas in Northwest Arkansas.